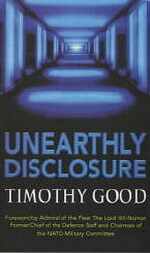 Among the highlights in his latest book, Timothy Good reveals amazing information provided to him via a high-ranking Pentagon source who discloses that aliens have established subterranean and submarine bases on Earth and that contact has been established with a number of individuals in the US military and scientific intelligence community. In Puerto Rico, the author describes many unusual events, including the shooting of an alien creature by a police officer, the “teleportation” of a British Airways captain in a light aircraft, and the officially confirmed disappearance of an aircraft and its two pilots after reporting a close encounter with a UFO. Six chapters of Unearthly Disclosure are devoted to encounters with an alien creature reported in Italy. The author commissioned a Law Society-checked Expert Witness to analyse the principal witness’s astonishing colour photos – all reproduced in the book. 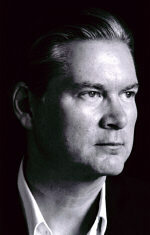 Further revelations include trips to alien bases, alien creatures captured and examined in Brazil (confirmed by military and medical sources), a Brazilian air force intelligence officer discusses his official investigations and encounters with UFOs, and a scientist and former CIA communications specialist describes his contacts with extraterrestrials based in Antarctica and Brazil. "I have the highest regard for Good’s absolute integrity, his determination and skill as a researcher, and his wide and detailed knowledge of the whole fascinating UFO experience. Were this not so, I confess at once that that I should have serious difficulty in accepting several passages in this riveting book, and the astounding revelations he now shares with the public . . . Good has given me in confidence the names of many of his sources who do not at present wish to be identified, and I can vouch for their record of probity and good standing." "It’s the most outlandish alien theory yet. Beings from outer space establishing secret bases on Earth, and travelling in ships that are just as much at home beneath the sea as they are in the skies. Beyond belief? Perhaps. But Unearthly Disclosure is written by one of the world’s most respected authorities on UFOs, and his findings are supported by one of Britain’s most senior military men, retired Admiral of the Fleet Lord Hill-Norton."